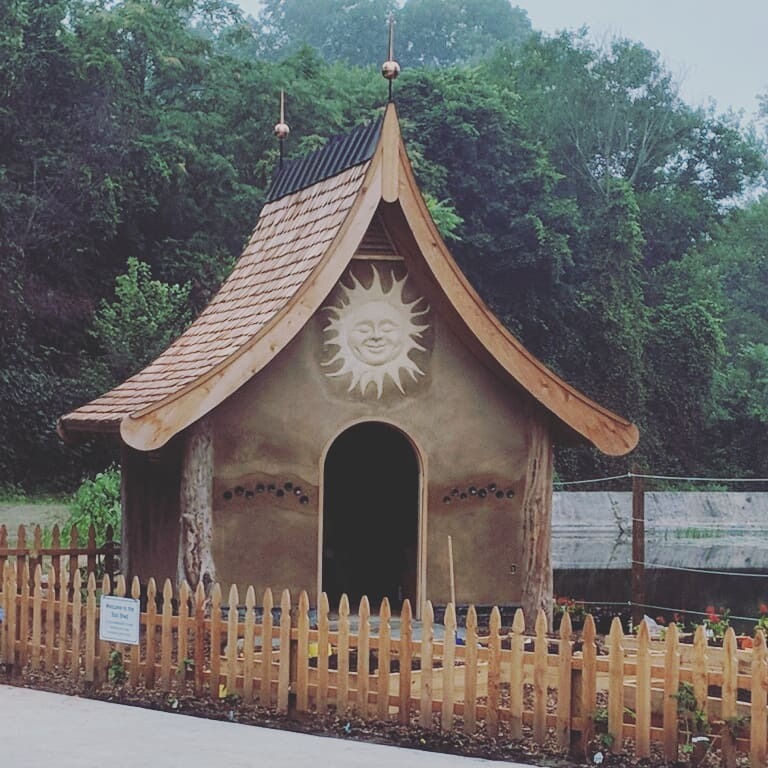 We had some wonderful building adventures at the Childrens’ Garden ~ within the awesome, awesome Wellfield Botanical Gardens in Elkhart, Indiana ! 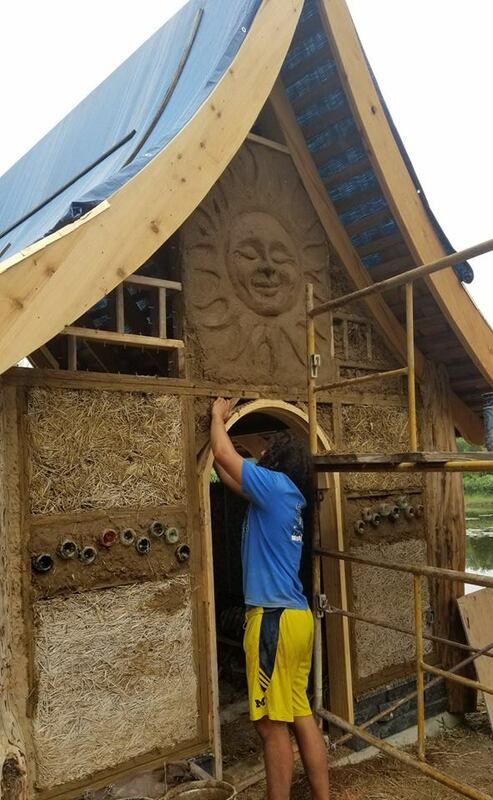 Over 10 days, in June and July, Tyler Schaeffer and Deanne Bednar lead the construction of the “Clay-Straw” Wall system on an enchanting little structure built by artistic woodworkers from Elkhart. Robert O’Neil, Paul Beaudet, Justin Trombly, Greg Lehman, and Ann Gentry. We also did a class for the public, on Natural Building Materials which included demonstrations of earth mixes and applying plasters. In the Treehouse at the Children’s Garden an interpretive slideshow was presented featuring the instructor’s past projects, plus a delicious dinner from The Moringa Tree, and time for Q&A and socializing. We also visited Greg Lehmans’ Strawbale House in Goshen, Illinois for pizza made in his earth oven ! Tyler Sheaffer gets excited about creating beautiful structures with simple, local, and natural materials. He studies traditional ways of creating human habitat and spends much of his time experimenting and adapting folk building wisdom to meet our current needs. He believes natural building is an important step for moving into a life-sustaining paradigm and away from an industrial exractivism paradigm. Natural building is a great forum for human connection, connection to the earth, and connection to our ancestors and where we’ve come from. Through natural building we can become more powerful, resilient, and harmonious.